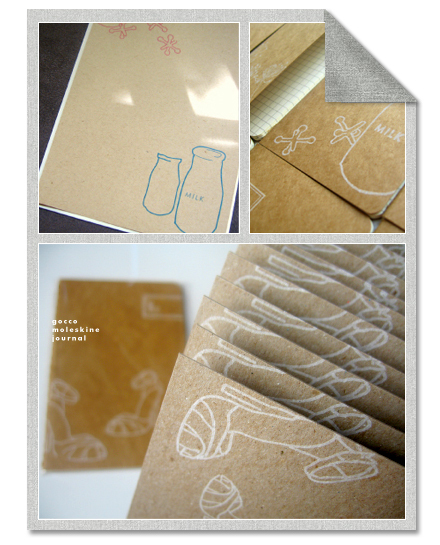 New eco-conscious line available at Cake + Milk Paperie: Imprintable stationery, Gocco Moleskine Journals and Scented Gocco Flats - yes, scented!! Cake + milk? C'mon, it's good for you! Oh wow.. what a great find! And I'm such a sucker for paper goods. I had fun checking out the shop! oh, what lovely stuff...definitely taking a look at this one.